With ‘M4 ISO Isometrics for PTC Creo® Piping’, CAD Schroer is unveiling a new solution for the creation of pipeline isometrics, which is integrated into Creo. 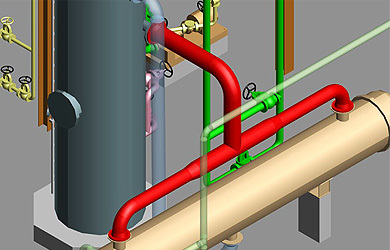 Cambridge, UK and Pittsford, NY – 06 April 2016: M4 ISO is a software programme that has been developed specially for pipework fabrication. It facilitates the automatic creation of unscaled piping isometric drawings from Creo 3D geometric data. 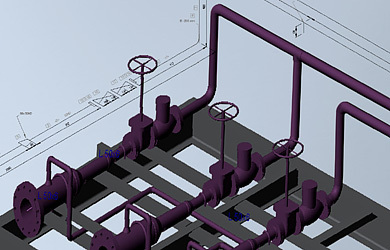 M4 ISO is now available as a solution that is fully integrated into PTC Creo Piping. M4 ISO provides a totally automated solution for Creo user. Once the options are selected, the drawings are fully created with one click. Thanks to the open format, the software is highly flexible, which in turn ensures that it can quickly be adapted to company-specific or project-specific requirements. 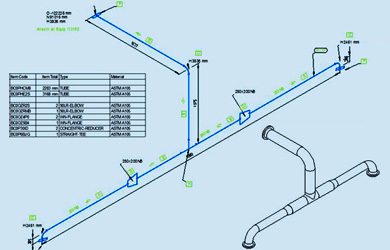 The style of the piping isometric drawings produced can be modified, as can the drawing templates supplied with M4 ISO. Furthermore, the software creates fully dimensioned, unscaled drawing of pipe spools, complete with parts lists, ready for fabrication use. ‘M4 ISO Isometrics for PTC Creo Piping’ is available now. Further information regarding the software can be found on the CAD Schroer homepage.